The Gorgeous Katrina Kaif and Saif Ali Khan was on the sets of jhalak reloaded last night. 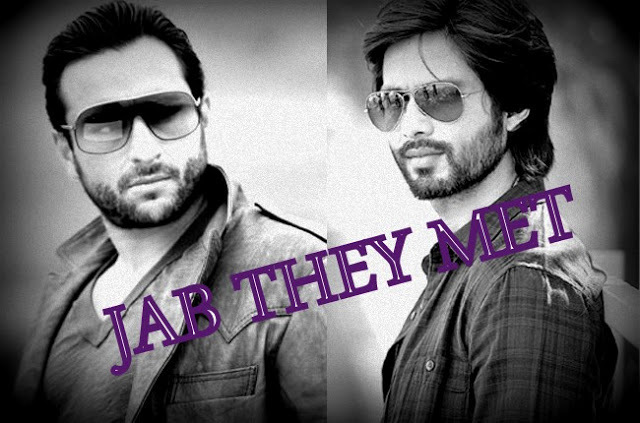 Both are currently very busy with their promotional schedules of their upcoming movie “Phantom”. Phantom is the awaited and highly anticipated Kabir Khan’s action release of this year staring Saifu Baba & Katrina Kaif. The previous movie of Kabir Khan was a blockbuster breaks all the previous records of Bollywood Industry. The story of “Phantom” is fictional and is based on the Mumbai attack of 26/11. The idea seems to be creative & interesting hopefully liked by the audience as well. Jhalak Reloded is known for its controversial things where dancing stars celebrities taking part in it and even more popular for its glamorous jury. It was quite an clumsy moment when the judge of the show Shahid kapoor came face to face with his X Kareena Kapoor’s husband in the same frame. The moment was looking quite stretched, but thanks to karan johar the two hunks were happy enough to click a selfie together which we would call, “Jab They Met”. The movie is to be released on August 28th 2015 and has created a lot of hot spices with its action scenes & star cast, sufi songs, trailers, amazing stunts. Wishing Chote nabab & Kati baby a good success with this movie!! Hopefully viewer will have some exictment remains till the movie will be in the theaters!! Next articleHow to setup custom domain on blogger with Godaddy? I just want to say I’m beginner to blogs and really enjoyed this web blog. Almost certainly I’m planning to bookmark your site . You definitely have beneficial well written articles. Appreciate it for sharing your web site. Great goods from you, man. I have understand your stuff previous to and you’re just extremely excellent. I really like what you’ve acquired here, certainly like what you are saying and the way in which you say it. You make it enjoyable and you still care for to keep it wise. I can not wait to read much more from you. This is really a wonderful website. I¡¦ll immediately take hold of your rss feed as I can not to find your e-mail subscription link or newsletter service. Do you’ve any? Kindly let me understand so that I could subscribe. Thanks. Whats Going down i’m new to this, I stumbled upon this I’ve discovered It absolutely useful and it has aided me out loads. I am hoping to contribute & aid different users like its helped me. Good job. I would like to convey my appreciation for your kind-heartedness giving support to people who should have help with your idea. Your personal dedication to passing the solution all around became exceptionally beneficial and have surely helped men and women like me to realize their goals. Your amazing warm and helpful help implies a lot a person like me and especially to my colleagues. Thanks a lot; from all of us. Someone essentially lend a hand to make seriously articles I might state. That is the very first time I frequented your website page and so far? I amazed with the analysis you made to make this actual put up extraordinary. Fantastic task! Hiya, I am really glad I have found this information. Nowadays bloggers publish only about gossips and net and this is actually irritating. A good site with exciting content, that’s what I need. Thanks for keeping this web-site, I will be visiting it. Do you do newsletters? Can not find it. I precisely desired to thank you very much yet again. I am not sure what I could possibly have used in the absence of the type of pointers contributed by you about this problem. It was before a real traumatic situation in my opinion, nevertheless viewing a new professional manner you solved that took me to weep with fulfillment. I’m just happier for your guidance and thus expect you recognize what a powerful job you were carrying out educating others through your webblog. I know that you have never got to know all of us. I do believe all the concepts you’ve presented on your post. They are really convincing and will definitely work. Nonetheless, the posts are very brief for newbies. May just you please lengthen them a bit from next time? Thanks for the post. hey there and thank you for your info – I’ve certainly picked up anything new from right here. I did however expertise several technical points using this website, as I experienced to reload the site many times previous to I could get it to load properly. I had been wondering if your web hosting is OK? Not that I am complaining, but slow loading instances times will often affect your placement in google and can damage your high quality score if ads and marketing with Adwords. Well I’m adding this RSS to my e-mail and could look out for a lot more of your respective interesting content. Ensure that you update this again very soon.. Thank you, I’ve recently been looking for info approximately this subject for ages and yours is the greatest I’ve found out so far. But, what in regards to the conclusion? Are you certain concerning the supply? Hey very cool website!! Guy .. Beautiful .. Amazing .. I will bookmark your blog and take the feeds additionally¡KI’m happy to find so many useful information here in the put up, we want develop extra strategies on this regard, thanks for sharing. . . . . . I do consider all the ideas you’ve offered for your post. They are really convincing and can certainly work. Nonetheless, the posts are too short for beginners. May you please lengthen them a little from next time? Thank you for the post. I have to convey my affection for your generosity giving support to individuals who need help with this important theme. Your real dedication to passing the message along was surprisingly important and have truly encouraged women just like me to reach their objectives. Your new informative help implies much a person like me and substantially more to my mates. Best wishes; from all of us. Somebody necessarily lend a hand to make severely posts I’d state. That is the first time I frequented your website page and to this point? I amazed with the research you made to make this particular publish amazing. Fantastic task! hello there and thank you for your information – I’ve definitely picked up anything new from right here. I did however expertise some technical points using this site, since I experienced to reload the web site a lot of times previous to I could get it to load properly. I had been wondering if your web hosting is OK? Not that I’m complaining, but sluggish loading instances times will sometimes affect your placement in google and can damage your high-quality score if advertising and marketing with Adwords. Well I’m adding this RSS to my email and could look out for much more of your respective intriguing content. Make sure you update this again soon..
Great website. A lot of helpful info here. I am sending it to a few buddies ans also sharing in delicious. And of course, thank you on your effort! What i don’t understood is if truth be told how you’re no longer really a lot more neatly-liked than you may be right now. You are so intelligent. You recognize therefore considerably in terms of this topic, made me personally believe it from a lot of numerous angles. Its like women and men are not fascinated unless it¡¦s something to do with Girl gaga! Your own stuffs excellent. Always care for it up! Hi, Neat post. There is a problem with your site in web explorer, could check this¡K IE nonetheless is the marketplace chief and a good part of folks will pass over your fantastic writing because of this problem. Valuable information. Lucky me I discovered your web site unintentionally, and I’m shocked why this coincidence did not came about in advance! I bookmarked it. I simply want to mention I am just very new to blogging and honestly liked your web page. Very likely I’m want to bookmark your site . You absolutely have awesome articles and reviews. Thanks a bunch for sharing your web page. I have been surfing on-line greater than three hours lately, yet I never found any fascinating article like yours. It is beautiful value enough for me. Personally, if all webmasters and bloggers made just right content material as you did, the web might be a lot more useful than ever before. fantastic submit, very informative. I wonder why the opposite experts of this sector don’t understand this. You must continue your writing. I am sure, you’ve a great readers’ base already! I am writing to make you know what a terrific discovery my princess found reading through your site. She learned too many pieces, with the inclusion of what it’s like to possess a very effective helping mindset to have other people quite simply understand specific complicated issues. You actually surpassed readers’ expectations. Thank you for imparting such beneficial, trusted, edifying not to mention unique tips on your topic to Sandra. Excellent goods from you, man. I’ve understand your stuff previous to and you’re just too excellent. I really like what you’ve acquired here, really like what you’re saying and the way in which you say it. You make it enjoyable and you still take care of to keep it sensible. I cant wait to read far more from you. This is really a tremendous site. I¡¦ve been exploring for a bit for any high-quality articles or weblog posts on this sort of house . Exploring in Yahoo I at last stumbled upon this web site. Reading this info So i am happy to exhibit that I’ve an incredibly good uncanny feeling I came upon just what I needed. I so much indisputably will make certain to do not omit this site and provides it a look regularly. You made some fine points there. I did a search on the matter and found nearly all people will consent with your blog. I definitely wanted to make a message so as to thank you for these amazing tips and tricks you are sharing here. My time-consuming internet search has finally been recognized with extremely good content to go over with my company. I would point out that many of us site visitors actually are very endowed to dwell in a perfect site with so many marvellous people with very beneficial methods. I feel quite fortunate to have seen the webpages and look forward to so many more amazing times reading here. Thanks a lot again for everything. I as well as my pals were analyzing the excellent tips located on the blog while before long developed a horrible feeling I had not thanked the web site owner for those techniques. All the ladies happened to be as a result excited to read all of them and have in effect truly been taking pleasure in them. Thank you for being quite thoughtful and for considering this form of important useful guides millions of individuals are really needing to be informed on. My sincere regret for not saying thanks to sooner. I will right away clutch your rss as I can’t find your email subscription hyperlink or newsletter service. Do you’ve any? Kindly allow me recognise in order that I may subscribe. Thanks. Thanks for sharing superb informations. Your web site is very cool. I am impressed by the details that you have on this web site. It reveals how nicely you understand this subject. Bookmarked this website page, will come back for extra articles. You, my friend, ROCK! I found simply the information I already searched everywhere and simply could not come across. What a perfect website. you’re really a excellent webmaster. The web site loading velocity is amazing. It seems that you are doing any unique trick. In addition, The contents are masterwork. you have done a wonderful task in this topic! Hiya very cool web site!! Guy .. Excellent .. Amazing .. I’ll bookmark your web site and take the feeds additionally¡KI’m glad to find so many useful information here within the post, we’d like develop more techniques on this regard, thanks for sharing. . . . . . I would like to thank you for the efforts you have put in writing this blog. I am hoping the same high-grade site post from you in the upcoming also. In fact your creative writing abilities has encouraged me to get my own blog now. Really the blogging is spreading its wings rapidly. Your write up is a good example of it. I have learn several just right stuff here. Certainly worth bookmarking for revisiting. I surprise how a lot effort you put to create any such wonderful informative web site. Hello there. I found your site via Google even as looking for a comparable subject, your website came up. It looks great. I have bookmarked it in my google bookmarks to come back then. Whats Taking place i’m new to this, I stumbled upon this I’ve found It positively helpful and it has helped me out loads. I hope to give a contribution & help different customers like its aided me. Great job. Hiya, I’m really glad I’ve found this information. Today bloggers publish just about gossip and net stuff and this is really annoying. A good site with interesting content, this is what I need. Thank you for making this website, and I’ll be visiting again. Do you do newsletters by email? Hello there. I discovered your web site by way of Google whilst looking for a comparable topic, your site came up. It appears to be great. I have bookmarked it in my google bookmarks to come back then. Hey there. I discovered your blog by way of Google even as looking for a comparable subject, your site got here up. It seems to be good. I’ve bookmarked it in my google bookmarks to visit then. Hey there. I found your web site via Google even as searching for a comparable matter, your website came up. It seems good. I’ve bookmarked it in my google bookmarks to visit then. Hey there. I discovered your blog by way of Google even as searching for a similar topic, your website came up. It looks great. I have bookmarked it in my google bookmarks to visit then. I¡¦ll immediately take hold of your rss feed as I can not find your email subscription hyperlink or e-newsletter service. Do you’ve any? Kindly allow me recognize so that I could subscribe. Thanks. Thanks so much for giving everyone a very splendid opportunity to discover important secrets from this web site. It can be so pleasant and as well , stuffed with a good time for me and my office mates to search your web site no less than thrice a week to find out the newest things you will have. Of course, I am just actually satisfied with all the mind-blowing ideas you give. Some 1 ideas on this page are truly the finest I have ever had. My wife and i were very relieved Jordan managed to finish up his basic research from your ideas he was given while using the site. It’s not at all simplistic to just be giving out tricks which usually men and women have been making money from. We really understand we’ve got the writer to be grateful to for this. These illustrations you have made, the simple blog navigation, the relationships you make it possible to promote – it’s got everything superb, and it’s really making our son in addition to our family reckon that this article is pleasurable, which is certainly quite essential. Thanks for everything! I must convey my appreciation for your generosity giving support to people who actually need help on in this area. Your special commitment to getting the message throughout came to be quite helpful and have continuously empowered individuals much like me to realize their aims. This informative tips and hints signifies a great deal a person like me and especially to my fellow workers. Thanks a lot; from each one of us. Great goods from you, man. I’ve understand your stuff previous to and you’re just too great. I really like what you have acquired here, really like what you’re saying and the way in which you say it. You make it enjoyable and you still care for to keep it wise. I can not wait to read far more from you. This is really a great web site. Hi there. I found your web site by means of Google while looking for a similar subject, your website got here up. It seems to be great. I’ve bookmarked it in my google bookmarks to come back then. Thanks a lot for providing individuals with an exceptionally marvellous opportunity to discover important secrets from this web site. It’s usually very terrific plus full of a lot of fun for me personally and my office mates to visit your web site the equivalent of 3 times a week to study the fresh tips you have got. And indeed, I’m usually fascinated with all the staggering ideas you serve. Selected 1 tips in this posting are indeed the most beneficial I’ve ever had. you’re in reality a excellent webmaster. The website loading velocity is incredible. It seems that you’re doing any unique trick. Moreover, The contents are masterwork. you have done a magnificent activity in this topic! hello!,I love your writing so so much! share we communicate more approximately your post on AOL? I need a specialist in this house to resolve my problem. May be that is you! Looking forward to look you. Thanks for another informative site. Where else may I get that type of information written in such a perfect way? I have a mission that I’m just now running on, and I’ve been on the look out for such information. Hiya, I am really glad I’ve found this information. Today bloggers publish only about gossip and net stuff and this is really irritating. A good blog with exciting content, that’s what I need. Thank you for making this web site, and I’ll be visiting again. Do you do newsletters by email? Hello there. I found your blog by the use of Google whilst looking for a related subject, your website came up. It seems to be good. I have bookmarked it in my google bookmarks to visit then. Hello there. I found your site by way of Google while searching for a related matter, your site came up. It appears to be good. I have bookmarked it in my google bookmarks to come back then. Hiya, I am really glad I’ve found this information. Today bloggers publish just about gossip and net stuff and this is actually frustrating. A good website with interesting content, that’s what I need. Thank you for making this website, and I will be visiting again. Do you do newsletters by email? Hey there. I discovered your website by way of Google while looking for a comparable subject, your web site got here up. It appears to be great. I have bookmarked it in my google bookmarks to visit then. Hey there. I found your blog by way of Google whilst searching for a similar topic, your website came up. It seems great. I’ve bookmarked it in my google bookmarks to come back then. Hi there. I found your website by the use of Google while looking for a related matter, your web site got here up. It looks great. I’ve bookmarked it in my google bookmarks to come back then. Hiya, I am really glad I have found this info. Today bloggers publish only about gossip and internet stuff and this is really irritating. A good web site with exciting content, that is what I need. Thank you for making this site, and I will be visiting again. Do you do newsletters by email? Valuable information. Lucky me I discovered your web site unintentionally, and I’m stunned why this accident did not happened earlier! I bookmarked it. A lot of thanks for every one of your work on this website. My mom loves doing investigation and it’s really easy to understand why. Most of us hear all regarding the dynamic form you produce simple suggestions through this web site and as well as foster response from some other people on this point and our favorite child is really becoming educated a lot of things. Take advantage of the rest of the year. You are performing a good job. Thank you, I have just been looking for info about this topic for ages and yours is the best I have discovered so far. But, what about the conclusion? Are you positive in regards to the source? I am now not certain the place you are getting your information, but good topic. I needs to spend a while studying much more or working out more. Thanks for wonderful info I was in search of this info for my mission. I am not certain where you’re getting your info, however great topic. I needs to spend a while finding out much more or understanding more. Thank you for magnificent info I was on the lookout for this information for my mission. Hello there. I discovered your blog by way of Google whilst looking for a similar topic, your web site got here up. It appears good. I’ve bookmarked it in my google bookmarks to visit then. Hi there. I discovered your website via Google while looking for a similar topic, your web site came up. It seems to be good. I’ve bookmarked it in my google bookmarks to come back then. Hey there. I discovered your web site by means of Google even as looking for a comparable matter, your website got here up. It looks good. I’ve bookmarked it in my google bookmarks to visit then. Hiya, I’m really glad I’ve found this information. Today bloggers publish only about gossip and net stuff and this is really irritating. A good site with interesting content, that’s what I need. Thank you for making this website, and I’ll be visiting again. Do you do newsletters by email? Hello there. I discovered your blog by way of Google whilst searching for a comparable topic, your site came up. It appears to be good. I’ve bookmarked it in my google bookmarks to come back then. Hello there. I discovered your site via Google whilst searching for a comparable subject, your site came up. It seems good. I’ve bookmarked it in my google bookmarks to come back then. Hello there. I found your web site by the use of Google at the same time as searching for a comparable matter, your website got here up. It seems great. I’ve bookmarked it in my google bookmarks to visit then. I¡¦ve been exploring for a bit for any high quality articles or blog posts on this kind of space . Exploring in Yahoo I ultimately stumbled upon this web site. Reading this info So i am glad to exhibit that I have an incredibly excellent uncanny feeling I discovered just what I needed. I so much surely will make certain to do not overlook this site and give it a glance on a relentless basis. Somebody necessarily lend a hand to make seriously articles I would state. This is the very first time I frequented your web page and so far? I surprised with the research you made to create this actual put up incredible. Excellent job! I will right away grab your rss feed as I can’t in finding your e-mail subscription link or newsletter service. Do you’ve any? Please let me recognise so that I may subscribe. Thanks. Wow, marvelous blog format! How lengthy have you ever been blogging for? you made blogging glance easy. The overall look of your site is great, as neatly as the content! Hello there, I found your web site via Google even as searching for a comparable subject, your web site came up, it looks great. I’ve bookmarked it in my google bookmarks. Hiya, I am really glad I’ve found this info. Nowadays bloggers publish only about gossip and net stuff and this is actually frustrating. A good web site with exciting content, that is what I need. Thanks for making this website, and I will be visiting again. Do you do newsletters by email? Hiya, I’m really glad I have found this information. Today bloggers publish just about gossip and web stuff and this is really frustrating. A good website with exciting content, that is what I need. Thanks for making this website, and I’ll be visiting again. Do you do newsletters by email? Hi there. I discovered your site by the use of Google whilst searching for a comparable subject, your site got here up. It looks great. I have bookmarked it in my google bookmarks to come back then. Hiya, I’m really glad I’ve found this info. Today bloggers publish just about gossip and net stuff and this is really annoying. A good web site with interesting content, that is what I need. Thanks for making this site, and I’ll be visiting again. Do you do newsletters by email? Hey there. I found your blog by way of Google while looking for a similar subject, your web site got here up. It seems to be good. I have bookmarked it in my google bookmarks to come back then. Hello there. I discovered your blog by way of Google at the same time as searching for a related subject, your site came up. It seems good. I have bookmarked it in my google bookmarks to come back then. Hiya, I am really glad I’ve found this info. Nowadays bloggers publish only about gossip and web stuff and this is actually annoying. A good blog with exciting content, that is what I need. Thanks for making this site, and I’ll be visiting again. Do you do newsletters by email? Hiya, I’m really glad I’ve found this information. Today bloggers publish just about gossip and net stuff and this is actually annoying. A good blog with interesting content, that is what I need. Thank you for making this site, and I’ll be visiting again. Do you do newsletters by email? I have to convey my admiration for your kind-heartedness giving support to people that require help on in this topic. Your very own commitment to passing the solution along was amazingly practical and has in most cases encouraged those just like me to arrive at their desired goals. Your own insightful guidelines means so much to me and even more to my mates. Thanks a ton; from all of us. Hey there. I found your website via Google whilst looking for a similar matter, your web site got here up. It seems to be good. I have bookmarked it in my google bookmarks to come back then. Hi there. I found your blog via Google at the same time as looking for a related matter, your website came up. It looks great. I’ve bookmarked it in my google bookmarks to come back then. wonderful issues altogether, you just received a new reader. What would you suggest in regards to your post that you just made some days ago? Any positive? Hiya, I’m really glad I’ve found this information. Today bloggers publish only about gossip and internet stuff and this is really annoying. A good web site with interesting content, this is what I need. Thanks for making this web-site, and I’ll be visiting again. Do you do newsletters by email? You really make it seem really easy along with your presentation however I to find this topic to be actually one thing that I feel I’d never understand. It seems too complex and very extensive for me. I am looking forward on your next put up, I¡¦ll attempt to get the hang of it! Hiya, I’m really glad I’ve found this info. Nowadays bloggers publish just about gossip and net stuff and this is actually annoying. A good website with interesting content, this is what I need. Thank you for making this web-site, and I will be visiting again. Do you do newsletters by email? Hi there. I discovered your site by way of Google even as looking for a similar subject, your website came up. It looks good. I have bookmarked it in my google bookmarks to come back then. Hiya, I am really glad I’ve found this info. Nowadays bloggers publish just about gossip and internet stuff and this is really irritating. A good site with exciting content, that is what I need. Thanks for making this web-site, and I’ll be visiting again. Do you do newsletters by email? Hello there. I found your website by means of Google even as looking for a similar subject, your web site came up. It appears to be good. I’ve bookmarked it in my google bookmarks to visit then. Hi there, I found your site by means of Google at the same time as searching for a similar topic, your web site got here up, it seems great. I have bookmarked it in my google bookmarks. I wanted to send you this very little observation just to thank you the moment again on your nice tricks you’ve contributed at this time. It was really particularly generous of people like you in giving freely precisely what many individuals could have made available as an e book to make some cash for their own end, especially now that you might well have tried it if you ever wanted. Those tricks also served to provide a fantastic way to fully grasp that other individuals have the same desire the same as mine to know the truth good deal more when considering this matter. I think there are a lot more pleasurable opportunities in the future for individuals that check out your blog post. I am no longer sure where you’re getting your info, however good topic. I needs to spend a while finding out much more or figuring out more. Thank you for wonderful info I was looking for this info for my mission. I enjoy you because of all of the hard work on this website. My aunt take interest in conducting investigations and it’s easy to see why. Most people notice all regarding the powerful form you produce advantageous techniques via the website and attract contribution from some other people on the issue so our princess has always been becoming educated a lot of things. Enjoy the remaining portion of the year. You are always conducting a great job. Hey there. I discovered your website by the use of Google whilst looking for a related topic, your web site got here up. It appears great. I’ve bookmarked it in my google bookmarks to come back then. Hello very cool blog!! Man .. Beautiful .. Superb .. I will bookmark your web site and take the feeds additionally¡KI’m glad to search out so many helpful information right here in the post, we need work out extra techniques on this regard, thank you for sharing. . . . . .
Hello there. I found your site by way of Google even as looking for a similar matter, your site came up. It looks great. I have bookmarked it in my google bookmarks to come back then. Hey there. I discovered your site by way of Google even as looking for a related topic, your web site came up. It looks great. I’ve bookmarked it in my google bookmarks to come back then. Hiya, I am really glad I’ve found this information. Nowadays bloggers publish just about gossip and internet stuff and this is really frustrating. A good site with interesting content, that’s what I need. Thanks for making this website, and I will be visiting again. Do you do newsletters by email? Hey there. I found your website by the use of Google at the same time as searching for a similar subject, your site got here up. It looks good. I’ve bookmarked it in my google bookmarks to come back then. Thank you for sharing superb informations. Your web-site is so cool. I’m impressed by the details that you¡¦ve on this website. It reveals how nicely you perceive this subject. Bookmarked this web page, will come back for extra articles. You, my friend, ROCK! I found just the info I already searched everywhere and simply couldn’t come across. What an ideal web site. Hey there. I found your blog via Google at the same time as looking for a similar subject, your web site got here up. It looks great. I have bookmarked it in my google bookmarks to come back then. Hiya, I am really glad I have found this information. Nowadays bloggers publish just about gossip and web stuff and this is really annoying. A good site with exciting content, that’s what I need. Thank you for making this web site, and I will be visiting again. Do you do newsletters by email? Hello there, I found your site by the use of Google while searching for a related subject, your web site came up, it appears good. I’ve bookmarked it in my google bookmarks. Great web site. Lots of useful info here. I am sending it to a few buddies ans also sharing in delicious. And obviously, thank you for your sweat! Hiya, I am really glad I’ve found this info. Today bloggers publish just about gossip and net stuff and this is actually annoying. A good site with interesting content, that’s what I need. Thank you for making this web-site, and I will be visiting again. Do you do newsletters by email? Hiya, I am really glad I’ve found this information. Today bloggers publish just about gossip and internet stuff and this is actually annoying. A good website with interesting content, this is what I need. Thank you for making this site, and I’ll be visiting again. Do you do newsletters by email? Hiya, I’m really glad I have found this information. Today bloggers publish just about gossip and net stuff and this is actually frustrating. A good site with interesting content, this is what I need. Thank you for making this website, and I’ll be visiting again. Do you do newsletters by email? Hi there. I found your web site by the use of Google even as searching for a comparable topic, your web site got here up. It appears good. I have bookmarked it in my google bookmarks to come back then. Very well written article. It will be beneficial to anyone who utilizes it, including myself. Keep doing what you are doing – for sure i will check out more posts. Thank you for each of your labor on this web page. My niece takes pleasure in setting aside time for investigations and it’s really easy to understand why. My spouse and i learn all of the dynamic tactic you produce insightful tricks through the blog and as well as encourage contribution from website visitors on the area of interest plus my daughter is without question being taught so much. Take pleasure in the remaining portion of the year. You’re the one doing a great job. Hello there. I discovered your web site by way of Google while searching for a comparable matter, your website came up. It seems great. I’ve bookmarked it in my google bookmarks to come back then. Hiya, I am really glad I’ve found this information. Nowadays bloggers publish just about gossip and internet stuff and this is actually irritating. A good web site with interesting content, that’s what I need. Thank you for making this web site, and I’ll be visiting again. Do you do newsletters by email? Hiya, I’m really glad I’ve found this info. Nowadays bloggers publish only about gossip and internet stuff and this is really annoying. A good website with exciting content, that’s what I need. Thank you for making this web site, and I’ll be visiting again. Do you do newsletters by email? I simply want to tell you that I am just beginner to blogging and site-building and truly enjoyed you’re web site. Likely I’m likely to bookmark your website . You surely have fabulous posts. Thank you for revealing your web site. Hi there. I discovered your web site by means of Google even as looking for a comparable topic, your web site got here up. It appears great. I have bookmarked it in my google bookmarks to visit then. Hey there. I discovered your site via Google at the same time as searching for a comparable subject, your site came up. It seems good. I have bookmarked it in my google bookmarks to come back then. I would like to thank you for the efforts you have put in writing this web site. I’m hoping the same high-grade site post from you in the upcoming as well. Actually your creative writing skills has inspired me to get my own web site now. Actually the blogging is spreading its wings rapidly. Your write up is a good example of it. My spouse and i were ecstatic that Ervin could finish up his web research using the precious recommendations he discovered using your web page. It’s not at all simplistic to simply continually be handing out methods which usually the others may have been trying to sell. We consider we have the blog owner to appreciate because of that. The most important illustrations you have made, the easy blog navigation, the friendships your site help foster – it is all terrific, and it is assisting our son and our family feel that this matter is excellent, and that is highly vital. Thanks for the whole thing! I’ve been surfing online greater than 3 hours today, yet I never found any interesting article like yours. It¡¦s lovely worth enough for me. In my view, if all website owners and bloggers made good content as you probably did, the internet will likely be a lot more helpful than ever before. I¡¦ll immediately clutch your rss as I can not in finding your email subscription hyperlink or newsletter service. Do you’ve any? Kindly let me recognize so that I could subscribe. Thanks. It is in reality a nice and useful piece of information. I¡¦m glad that you shared this useful information with us. Please keep us informed like this. Thanks for sharing. Hello there. I found your site via Google whilst searching for a related matter, your website got here up. It seems to be good. I have bookmarked it in my google bookmarks to visit then. Hello there. I found your website by the use of Google while looking for a related subject, your site came up. It appears great. I have bookmarked it in my google bookmarks to visit then. Hey there. I found your blog by way of Google while searching for a similar matter, your web site got here up. It appears great. I have bookmarked it in my google bookmarks to visit then. Hey there. I found your blog by way of Google even as searching for a comparable subject, your web site came up. It appears good. I have bookmarked it in my google bookmarks to come back then. Hello there. I found your website by the use of Google while searching for a similar matter, your website got here up. It looks great. I have bookmarked it in my google bookmarks to visit then. Hey there. I found your blog by way of Google whilst looking for a similar matter, your web site came up. It seems good. I have bookmarked it in my google bookmarks to come back then. Hello there. I discovered your blog by way of Google at the same time as looking for a comparable matter, your website came up. It seems great. I have bookmarked it in my google bookmarks to come back then. Hiya, I am really glad I’ve found this information. Today bloggers publish just about gossip and net stuff and this is actually frustrating. A good website with exciting content, that’s what I need. Thanks for making this site, and I’ll be visiting again. Do you do newsletters by email? Hey there. I discovered your web site via Google while searching for a comparable matter, your web site came up. It seems great. I have bookmarked it in my google bookmarks to visit then. Hiya, I am really glad I’ve found this info. Nowadays bloggers publish just about gossip and web stuff and this is really annoying. A good site with exciting content, that’s what I need. Thanks for making this website, and I will be visiting again. Do you do newsletters by email? Hi there. I found your website by means of Google at the same time as looking for a comparable topic, your web site came up. It looks good. I’ve bookmarked it in my google bookmarks to visit then. Hey there. I found your blog via Google even as searching for a comparable subject, your web site got here up. It looks great. I have bookmarked it in my google bookmarks to come back then. Hey there. I found your blog by means of Google even as looking for a comparable topic, your website got here up. It seems to be good. I have bookmarked it in my google bookmarks to come back then. Hiya, I am really glad I’ve found this info. Today bloggers publish only about gossip and web stuff and this is really irritating. A good website with interesting content, that’s what I need. Thank you for making this site, and I will be visiting again. Do you do newsletters by email? Hey there. I found your web site by means of Google whilst searching for a related topic, your website got here up. It appears great. I’ve bookmarked it in my google bookmarks to come back then. Hi there. I discovered your site by means of Google even as looking for a comparable topic, your web site got here up. It appears great. I have bookmarked it in my google bookmarks to visit then. Hey there. I found your web site by the use of Google at the same time as looking for a similar matter, your website got here up. It seems to be great. I have bookmarked it in my google bookmarks to visit then. Hey there. I discovered your blog via Google at the same time as looking for a related subject, your site came up. It seems great. I’ve bookmarked it in my google bookmarks to come back then. Hiya, I am really glad I have found this information. Nowadays bloggers publish only about gossip and net stuff and this is actually frustrating. A good website with exciting content, this is what I need. Thank you for making this web site, and I will be visiting again. Do you do newsletters by email? Hi there. I discovered your website by way of Google while looking for a related matter, your web site came up. It seems great. I’ve bookmarked it in my google bookmarks to visit then. Hi there. I discovered your web site via Google even as looking for a comparable topic, your web site got here up. It seems to be great. I’ve bookmarked it in my google bookmarks to come back then. Hi there. I discovered your site via Google whilst looking for a comparable topic, your web site got here up. It seems to be great. I’ve bookmarked it in my google bookmarks to visit then. Hey there. I found your web site via Google while looking for a similar topic, your website came up. It looks good. I have bookmarked it in my google bookmarks to visit then. Hey there. I discovered your web site by the use of Google while looking for a similar topic, your web site came up. It seems to be great. I have bookmarked it in my google bookmarks to visit then. Hello there. I found your blog by way of Google at the same time as looking for a related subject, your web site came up. It appears good. I have bookmarked it in my google bookmarks to visit then. Hi there. I discovered your blog via Google whilst looking for a related topic, your site came up. It seems great. I’ve bookmarked it in my google bookmarks to come back then. Hello there. I discovered your site by way of Google even as looking for a similar matter, your site came up. It appears to be good. I’ve bookmarked it in my google bookmarks to come back then. Hi there. I discovered your web site by means of Google even as searching for a related topic, your site got here up. It appears to be great. I have bookmarked it in my google bookmarks to visit then. Hiya, I am really glad I have found this information. Nowadays bloggers publish only about gossip and web stuff and this is really irritating. A good site with interesting content, that’s what I need. Thank you for making this web-site, and I will be visiting again. Do you do newsletters by email? Hiya, I am really glad I’ve found this info. Nowadays bloggers publish just about gossip and internet stuff and this is really frustrating. A good blog with exciting content, this is what I need. Thanks for making this web-site, and I will be visiting again. Do you do newsletters by email? Hi there. I found your website by way of Google at the same time as looking for a comparable matter, your website came up. It appears great. I’ve bookmarked it in my google bookmarks to visit then. Hiya, I’m really glad I’ve found this information. Today bloggers publish just about gossip and net stuff and this is actually frustrating. A good web site with exciting content, this is what I need. Thank you for making this website, and I will be visiting again. Do you do newsletters by email? Hello there. I found your blog via Google at the same time as looking for a comparable matter, your site came up. It appears to be good. I have bookmarked it in my google bookmarks to visit then. Hi there. I discovered your website by way of Google even as looking for a comparable subject, your site got here up. It appears good. I have bookmarked it in my google bookmarks to visit then. Hiya, I am really glad I have found this info. Today bloggers publish only about gossip and net stuff and this is actually irritating. A good website with interesting content, this is what I need. Thank you for making this site, and I’ll be visiting again. Do you do newsletters by email? Hello there. I discovered your blog via Google even as looking for a similar topic, your site came up. It appears to be great. I’ve bookmarked it in my google bookmarks to come back then. Hiya, I’m really glad I’ve found this information. Nowadays bloggers publish just about gossip and web stuff and this is really irritating. A good blog with interesting content, that’s what I need. Thanks for making this web site, and I will be visiting again. Do you do newsletters by email? Hiya, I am really glad I have found this info. Nowadays bloggers publish only about gossip and internet stuff and this is actually annoying. A good web site with exciting content, this is what I need. Thank you for making this site, and I will be visiting again. Do you do newsletters by email? Hello there. I discovered your site via Google while looking for a similar topic, your site got here up. It seems to be good. I have bookmarked it in my google bookmarks to come back then. Hi there. I found your blog by way of Google while looking for a similar topic, your website came up. It looks good. I have bookmarked it in my google bookmarks to visit then. Hi there. I discovered your web site by way of Google whilst looking for a related topic, your website came up. It looks good. I have bookmarked it in my google bookmarks to come back then. Hiya, I am really glad I’ve found this info. Nowadays bloggers publish only about gossip and net stuff and this is really annoying. A good web site with interesting content, that’s what I need. Thanks for making this site, and I will be visiting again. Do you do newsletters by email? Hello there. I found your web site by way of Google even as looking for a comparable topic, your site got here up. It appears to be great. I’ve bookmarked it in my google bookmarks to visit then. Hiya, I’m really glad I’ve found this information. Nowadays bloggers publish just about gossip and web stuff and this is really irritating. A good site with interesting content, this is what I need. Thank you for making this web-site, and I’ll be visiting again. Do you do newsletters by email? I¡¦m now not positive where you’re getting your information, however great topic. I needs to spend some time studying more or working out more. Thanks for fantastic information I used to be looking for this info for my mission. Hi, Neat post. There is a problem with your web site in web explorer, may check this¡K IE still is the marketplace chief and a large part of people will pass over your magnificent writing due to this problem. Hello there. I found your blog by way of Google even as looking for a similar topic, your site came up. It seems good. I have bookmarked it in my google bookmarks to visit then. Hi there. I discovered your site via Google even as searching for a related topic, your site got here up. It seems to be good. I have bookmarked it in my google bookmarks to come back then. Hiya, I am really glad I’ve found this info. Today bloggers publish only about gossip and net stuff and this is really annoying. A good site with exciting content, that is what I need. Thanks for making this web site, and I will be visiting again. Do you do newsletters by email? Hiya, I’m really glad I have found this information. Today bloggers publish just about gossip and internet stuff and this is really annoying. A good web site with exciting content, this is what I need. Thanks for making this site, and I will be visiting again. Do you do newsletters by email? Hi there. I found your web site via Google while searching for a comparable matter, your website came up. It looks good. I have bookmarked it in my google bookmarks to visit then. Hiya, I am really glad I’ve found this information. Today bloggers publish only about gossip and internet stuff and this is actually frustrating. A good blog with exciting content, this is what I need. Thank you for making this site, and I’ll be visiting again. Do you do newsletters by email? Hey there. I found your website by means of Google whilst looking for a comparable matter, your site came up. It looks great. I’ve bookmarked it in my google bookmarks to come back then. Hey there. I discovered your website by way of Google at the same time as looking for a related subject, your web site came up. It seems great. I have bookmarked it in my google bookmarks to come back then. Hello there. I found your website by means of Google whilst looking for a related matter, your website got here up. It looks great. I have bookmarked it in my google bookmarks to visit then. Hi there. I discovered your blog by way of Google whilst searching for a comparable matter, your website came up. It seems to be great. I have bookmarked it in my google bookmarks to come back then. Hiya, I am really glad I have found this info. Today bloggers publish just about gossip and web stuff and this is actually frustrating. A good blog with exciting content, that’s what I need. Thanks for making this web site, and I will be visiting again. Do you do newsletters by email? Hiya, I am really glad I have found this info. Nowadays bloggers publish just about gossip and web stuff and this is actually irritating. A good web site with exciting content, that’s what I need. Thanks for making this web-site, and I’ll be visiting again. Do you do newsletters by email? Hiya, I’m really glad I’ve found this info. Nowadays bloggers publish only about gossip and internet stuff and this is actually annoying. A good web site with exciting content, this is what I need. Thank you for making this web-site, and I will be visiting again. Do you do newsletters by email? Hello there. I found your site by means of Google whilst looking for a related subject, your website came up. It appears to be great. I’ve bookmarked it in my google bookmarks to come back then. Hello there. I discovered your web site by way of Google at the same time as looking for a related matter, your web site got here up. It seems to be great. I’ve bookmarked it in my google bookmarks to come back then. Hi there. I discovered your blog by way of Google whilst looking for a related matter, your web site came up. It appears to be good. I’ve bookmarked it in my google bookmarks to come back then. Hey there. I found your blog via Google whilst looking for a comparable topic, your website came up. It appears to be good. I have bookmarked it in my google bookmarks to visit then. Hi there. I found your blog via Google whilst searching for a similar subject, your site came up. It seems good. I’ve bookmarked it in my google bookmarks to visit then. Hiya, I’m really glad I have found this info. Today bloggers publish just about gossip and web stuff and this is really irritating. A good blog with interesting content, that’s what I need. Thanks for making this website, and I will be visiting again. Do you do newsletters by email? Hiya, I’m really glad I’ve found this information. Nowadays bloggers publish just about gossip and web stuff and this is actually frustrating. A good web site with exciting content, that is what I need. Thanks for making this site, and I’ll be visiting again. Do you do newsletters by email? I do trust all the ideas you have presented to your post. They are very convincing and can certainly work. Nonetheless, the posts are too short for newbies. May you please prolong them a little from subsequent time? Thank you for the post. Hi there. I discovered your website by the use of Google at the same time as searching for a comparable subject, your website came up. It appears great. I have bookmarked it in my google bookmarks to visit then. Hey there. I discovered your web site by means of Google whilst looking for a comparable matter, your web site got here up. It appears to be good. I have bookmarked it in my google bookmarks to come back then. Hey there. I found your site by the use of Google even as searching for a related subject, your site came up. It appears great. I’ve bookmarked it in my google bookmarks to visit then. Hiya, I am really glad I’ve found this information. Nowadays bloggers publish just about gossip and web stuff and this is really annoying. A good site with interesting content, this is what I need. Thank you for making this web site, and I will be visiting again. Do you do newsletters by email? Hey there. I discovered your blog by means of Google at the same time as looking for a comparable topic, your website got here up. It seems to be great. I have bookmarked it in my google bookmarks to come back then. Hey there. I discovered your website by means of Google while looking for a related matter, your website came up. It seems great. I have bookmarked it in my google bookmarks to visit then. Hello there. I found your site by the use of Google even as looking for a similar topic, your website came up. It appears to be good. I’ve bookmarked it in my google bookmarks to come back then. Hey there. I discovered your site by way of Google while looking for a related subject, your web site came up. It appears to be great. I have bookmarked it in my google bookmarks to come back then. Hello there. I found your web site by way of Google whilst looking for a related matter, your site got here up. It seems good. I have bookmarked it in my google bookmarks to come back then. Hi there. I discovered your blog by the use of Google even as looking for a related subject, your site got here up. It seems to be great. I have bookmarked it in my google bookmarks to come back then. Hey there. I discovered your site by the use of Google even as searching for a comparable matter, your web site came up. It seems to be great. I have bookmarked it in my google bookmarks to visit then. Hey there. I discovered your site by means of Google whilst searching for a comparable subject, your site came up. It appears to be good. I have bookmarked it in my google bookmarks to come back then. Hiya, I’m really glad I have found this info. Today bloggers publish just about gossip and net stuff and this is really irritating. A good blog with interesting content, this is what I need. Thanks for making this website, and I will be visiting again. Do you do newsletters by email? I’m still learning from you, as I’m improving myself. I definitely liked reading all that is posted on your blog.Keep the tips coming. I liked it! Hey there. I discovered your website by way of Google while searching for a related subject, your website got here up. It seems to be good. I have bookmarked it in my google bookmarks to visit then. Hiya, I am really glad I have found this information. Nowadays bloggers publish only about gossip and net stuff and this is really irritating. A good website with exciting content, that’s what I need. Thanks for making this web site, and I’ll be visiting again. Do you do newsletters by email? Hiya, I am really glad I have found this info. Nowadays bloggers publish only about gossip and web stuff and this is actually annoying. A good website with exciting content, this is what I need. Thank you for making this website, and I’ll be visiting again. Do you do newsletters by email? Hiya, I am really glad I’ve found this info. Nowadays bloggers publish just about gossip and net stuff and this is actually annoying. A good site with interesting content, this is what I need. Thank you for making this website, and I will be visiting again. Do you do newsletters by email? Hiya, I’m really glad I have found this info. Nowadays bloggers publish only about gossip and web stuff and this is really frustrating. A good blog with interesting content, this is what I need. Thank you for making this web-site, and I’ll be visiting again. Do you do newsletters by email? Hiya, I am really glad I’ve found this info. Nowadays bloggers publish only about gossip and web stuff and this is really irritating. A good site with interesting content, this is what I need. Thanks for making this website, and I will be visiting again. Do you do newsletters by email? Hey there. I discovered your blog by means of Google at the same time as searching for a related matter, your website came up. It seems good. I have bookmarked it in my google bookmarks to visit then. Am i legitimately in charge of material on my blogs & discussion forums that others have written? Hiya, I’m really glad I’ve found this information. Nowadays bloggers publish only about gossip and net stuff and this is actually annoying. A good web site with interesting content, this is what I need. Thanks for making this web-site, and I’ll be visiting again. Do you do newsletters by email? Hey there. I discovered your website via Google whilst looking for a comparable subject, your site got here up. It appears to be good. I have bookmarked it in my google bookmarks to visit then. Hiya, I’m really glad I have found this info. Nowadays bloggers publish just about gossip and internet stuff and this is really frustrating. A good blog with exciting content, that’s what I need. Thank you for making this site, and I’ll be visiting again. Do you do newsletters by email? Hiya, I am really glad I’ve found this information. Today bloggers publish only about gossip and web stuff and this is actually annoying. A good web site with exciting content, this is what I need. Thanks for making this site, and I’ll be visiting again. Do you do newsletters by email? Hiya, I am really glad I’ve found this info. Today bloggers publish just about gossip and internet stuff and this is really annoying. A good web site with exciting content, that is what I need. Thanks for making this web site, and I’ll be visiting again. Do you do newsletters by email? Hey there. I discovered your blog by means of Google even as searching for a related matter, your web site came up. It looks good. I have bookmarked it in my google bookmarks to come back then. Hey there. I found your blog by means of Google at the same time as looking for a similar topic, your site came up. It seems to be good. I’ve bookmarked it in my google bookmarks to come back then. Hey there. I discovered your website via Google while looking for a comparable topic, your site came up. It appears to be great. I have bookmarked it in my google bookmarks to come back then. Hiya, I’m really glad I’ve found this information. Nowadays bloggers publish only about gossip and internet stuff and this is really frustrating. A good web site with interesting content, that is what I need. Thank you for making this web site, and I will be visiting again. Do you do newsletters by email? Hi there. I found your blog by the use of Google whilst searching for a comparable matter, your website got here up. It seems good. I’ve bookmarked it in my google bookmarks to visit then. Hiya, I am really glad I’ve found this information. Nowadays bloggers publish only about gossip and internet stuff and this is actually annoying. A good website with exciting content, that is what I need. Thank you for making this website, and I’ll be visiting again. Do you do newsletters by email? Hey there. I found your blog by means of Google at the same time as looking for a comparable matter, your website got here up. It seems good. I have bookmarked it in my google bookmarks to visit then. Hey there. I discovered your website by means of Google while looking for a comparable subject, your site came up. It appears to be good. I’ve bookmarked it in my google bookmarks to come back then. Hiya, I am really glad I’ve found this info. Nowadays bloggers publish only about gossip and internet stuff and this is really frustrating. A good web site with exciting content, that is what I need. Thanks for making this site, and I’ll be visiting again. Do you do newsletters by email? Hi, Neat post. There is a problem with your website in internet explorer, could check this¡K IE still is the market chief and a big part of people will leave out your wonderful writing due to this problem. Hello there. I found your blog by way of Google even as searching for a related subject, your site came up. It seems to be good. I have bookmarked it in my google bookmarks to come back then. Hello there. I found your web site by way of Google whilst searching for a related topic, your site came up. It seems to be good. I have bookmarked it in my google bookmarks to come back then. Hello there. I discovered your web site via Google at the same time as looking for a related topic, your website came up. It appears to be good. I have bookmarked it in my google bookmarks to visit then. Hey there. I discovered your web site via Google whilst looking for a comparable matter, your website got here up. It seems good. I have bookmarked it in my google bookmarks to come back then. Hiya, I am really glad I have found this information. Today bloggers publish just about gossip and web stuff and this is actually irritating. A good website with interesting content, that’s what I need. Thanks for making this site, and I will be visiting again. Do you do newsletters by email? Hey there. I found your blog by means of Google whilst searching for a related topic, your site came up. It seems to be great. I’ve bookmarked it in my google bookmarks to visit then. Hello there. I found your web site via Google while searching for a comparable topic, your site came up. It seems to be great. I’ve bookmarked it in my google bookmarks to come back then. Hiya, I’m really glad I’ve found this info. Today bloggers publish only about gossip and net stuff and this is really annoying. A good web site with exciting content, this is what I need. Thank you for making this site, and I will be visiting again. Do you do newsletters by email? Hiya, I am really glad I have found this info. Nowadays bloggers publish just about gossip and internet stuff and this is really frustrating. A good web site with exciting content, that is what I need. Thank you for making this web-site, and I will be visiting again. Do you do newsletters by email? Hi there. I found your blog via Google whilst looking for a similar topic, your website got here up. It looks good. I’ve bookmarked it in my google bookmarks to visit then. Hi there. I discovered your blog by means of Google at the same time as looking for a related topic, your website came up. It seems to be good. I’ve bookmarked it in my google bookmarks to come back then. Hello there. I discovered your site by way of Google whilst searching for a similar subject, your web site got here up. It looks good. I have bookmarked it in my google bookmarks to come back then. Hi there. I found your website via Google at the same time as looking for a related matter, your web site came up. It seems to be great. I’ve bookmarked it in my google bookmarks to visit then. Hi there. I discovered your site via Google even as searching for a related topic, your web site came up. It appears to be good. I have bookmarked it in my google bookmarks to come back then. Hi there. I discovered your web site by the use of Google while looking for a similar subject, your site got here up. It appears great. I have bookmarked it in my google bookmarks to visit then. Thanks for another great post. Where else could anyone get that type of information in such an ideal means of writing? I have a presentation next week, and I am on the look for such info. Hi there. I discovered your web site by way of Google while searching for a comparable matter, your website got here up. It seems good. I have bookmarked it in my google bookmarks to visit then. Hiya, I’m really glad I’ve found this information. Nowadays bloggers publish only about gossip and net stuff and this is really frustrating. A good site with exciting content, that’s what I need. Thank you for making this web-site, and I’ll be visiting again. Do you do newsletters by email? Hiya, I’m really glad I’ve found this information. Today bloggers publish just about gossip and web stuff and this is really frustrating. A good site with exciting content, that is what I need. Thank you for making this website, and I’ll be visiting again. Do you do newsletters by email? Hello there. I found your web site via Google whilst looking for a comparable topic, your website got here up. It appears to be good. I have bookmarked it in my google bookmarks to come back then. Hi there. I found your blog via Google at the same time as looking for a related subject, your web site came up. It appears to be great. I have bookmarked it in my google bookmarks to come back then. Hello there. I found your blog by means of Google while looking for a similar matter, your website got here up. It seems to be good. I’ve bookmarked it in my google bookmarks to come back then. Hey there. I discovered your site by means of Google even as looking for a comparable subject, your website came up. It seems good. I’ve bookmarked it in my google bookmarks to visit then. Hiya, I’m really glad I’ve found this information. Today bloggers publish only about gossip and internet stuff and this is actually frustrating. A good website with interesting content, this is what I need. Thanks for making this website, and I will be visiting again. Do you do newsletters by email? Hello there. I found your site by means of Google even as searching for a comparable matter, your website came up. It seems good. I have bookmarked it in my google bookmarks to come back then. Hiya, I am really glad I’ve found this information. Nowadays bloggers publish only about gossip and net stuff and this is actually annoying. A good web site with interesting content, that’s what I need. Thanks for making this website, and I’ll be visiting again. Do you do newsletters by email? Hiya, I’m really glad I have found this info. Nowadays bloggers publish just about gossip and internet stuff and this is really frustrating. A good web site with exciting content, that is what I need. Thank you for making this website, and I will be visiting again. Do you do newsletters by email? Hey there. I found your site via Google at the same time as searching for a similar subject, your web site got here up. It seems great. I have bookmarked it in my google bookmarks to come back then. Hiya, I am really glad I have found this info. Today bloggers publish only about gossip and net stuff and this is actually irritating. A good site with exciting content, that’s what I need. Thanks for making this website, and I’ll be visiting again. Do you do newsletters by email? Hey there. I discovered your web site by means of Google whilst looking for a related subject, your site got here up. It seems great. I’ve bookmarked it in my google bookmarks to come back then. Hey there. I discovered your blog via Google while looking for a related matter, your site came up. It appears great. I have bookmarked it in my google bookmarks to come back then. Hiya, I am really glad I have found this information. Today bloggers publish only about gossip and web stuff and this is really irritating. A good website with exciting content, this is what I need. Thanks for making this web site, and I’ll be visiting again. Do you do newsletters by email? Hiya, I am really glad I’ve found this info. Today bloggers publish just about gossip and web stuff and this is really annoying. A good website with interesting content, that’s what I need. Thank you for making this web site, and I will be visiting again. Do you do newsletters by email? Hiya, I’m really glad I have found this info. Nowadays bloggers publish just about gossip and net stuff and this is actually irritating. A good site with interesting content, that is what I need. Thanks for making this web site, and I will be visiting again. Do you do newsletters by email? Hey there. I found your blog by the use of Google whilst searching for a related topic, your website came up. It seems great. I’ve bookmarked it in my google bookmarks to visit then. Hey there. I discovered your site by way of Google even as looking for a related subject, your website got here up. It appears to be good. I have bookmarked it in my google bookmarks to come back then. Hiya, I’m really glad I’ve found this info. Nowadays bloggers publish only about gossip and internet stuff and this is actually irritating. A good website with interesting content, this is what I need. Thank you for making this site, and I will be visiting again. Do you do newsletters by email? Hiya, I’m really glad I have found this information. Today bloggers publish only about gossip and net stuff and this is actually frustrating. A good site with interesting content, that’s what I need. Thanks for making this web site, and I’ll be visiting again. Do you do newsletters by email? Hi there. I discovered your website by means of Google even as looking for a related subject, your web site came up. It appears great. I’ve bookmarked it in my google bookmarks to come back then. Hello there. I discovered your site by the use of Google even as looking for a related matter, your site came up. It appears good. I’ve bookmarked it in my google bookmarks to come back then. It¡¦s truly a great and helpful piece of info. I am happy that you simply shared this useful info with us. Please stay us informed like this. Thanks for sharing. What is a blog subject that you would discover intriguing to review? Hey there. I discovered your blog via Google even as looking for a comparable subject, your website got here up. It seems to be good. I’ve bookmarked it in my google bookmarks to come back then. Hiya, I’m really glad I’ve found this information. Nowadays bloggers publish just about gossip and web stuff and this is really irritating. A good website with interesting content, that is what I need. Thank you for making this website, and I’ll be visiting again. Do you do newsletters by email? Hiya, I am really glad I’ve found this information. Today bloggers publish only about gossip and internet stuff and this is really annoying. A good blog with interesting content, this is what I need. Thank you for making this web site, and I will be visiting again. Do you do newsletters by email? Hi there. I discovered your site via Google even as looking for a similar subject, your site came up. It appears to be good. I’ve bookmarked it in my google bookmarks to come back then. Hey there. I discovered your web site via Google while looking for a related matter, your website came up. It seems great. I have bookmarked it in my google bookmarks to visit then. Hiya, I am really glad I’ve found this information. Nowadays bloggers publish just about gossip and web stuff and this is actually annoying. A good blog with interesting content, this is what I need. Thank you for making this web-site, and I’ll be visiting again. Do you do newsletters by email? Hello there. I discovered your site via Google at the same time as looking for a similar matter, your site came up. It appears to be good. I have bookmarked it in my google bookmarks to visit then. Hiya, I’m really glad I have found this info. Nowadays bloggers publish just about gossip and web stuff and this is actually frustrating. A good site with exciting content, that’s what I need. Thanks for making this website, and I will be visiting again. Do you do newsletters by email? Hi there. I discovered your blog via Google at the same time as looking for a related subject, your site came up. It looks great. I’ve bookmarked it in my google bookmarks to visit then. Hello there. I found your website via Google at the same time as looking for a comparable subject, your website came up. It seems to be good. I have bookmarked it in my google bookmarks to come back then. Hello there. I found your website by way of Google whilst searching for a similar subject, your web site got here up. It appears to be good. I’ve bookmarked it in my google bookmarks to visit then. Hiya, I am really glad I’ve found this information. Today bloggers publish only about gossip and web stuff and this is really frustrating. A good site with exciting content, this is what I need. Thank you for making this web site, and I will be visiting again. Do you do newsletters by email? Hiya, I’m really glad I have found this info. Nowadays bloggers publish only about gossip and web stuff and this is really annoying. A good website with interesting content, this is what I need. Thanks for making this site, and I’ll be visiting again. Do you do newsletters by email? Hiya, I am really glad I have found this information. Today bloggers publish just about gossip and web stuff and this is really annoying. A good website with interesting content, that’s what I need. Thanks for making this website, and I’ll be visiting again. Do you do newsletters by email? Hey there. I discovered your website by means of Google while searching for a similar matter, your site came up. It looks great. I’ve bookmarked it in my google bookmarks to come back then. Hello there. I discovered your web site via Google even as looking for a related topic, your web site came up. It seems great. I have bookmarked it in my google bookmarks to come back then. Hi there. I discovered your web site by the use of Google at the same time as looking for a related topic, your site got here up. It seems to be good. I’ve bookmarked it in my google bookmarks to visit then. Hiya, I am really glad I have found this info. Today bloggers publish just about gossip and net stuff and this is actually annoying. A good site with interesting content, that is what I need. Thank you for making this web-site, and I’ll be visiting again. Do you do newsletters by email? Hiya, I’m really glad I have found this info. Today bloggers publish just about gossip and net stuff and this is actually annoying. A good web site with interesting content, this is what I need. Thanks for making this web-site, and I will be visiting again. Do you do newsletters by email? Hello there. I found your website by means of Google even as searching for a comparable subject, your web site came up. It seems good. I’ve bookmarked it in my google bookmarks to come back then. Hello there. I discovered your blog via Google at the same time as searching for a similar topic, your website came up. It seems to be good. I’ve bookmarked it in my google bookmarks to come back then. Hey there. I discovered your blog by means of Google even as searching for a comparable subject, your website got here up. It appears to be good. I have bookmarked it in my google bookmarks to come back then. Do you know about the things, of the legendary Salman Khan???? ?